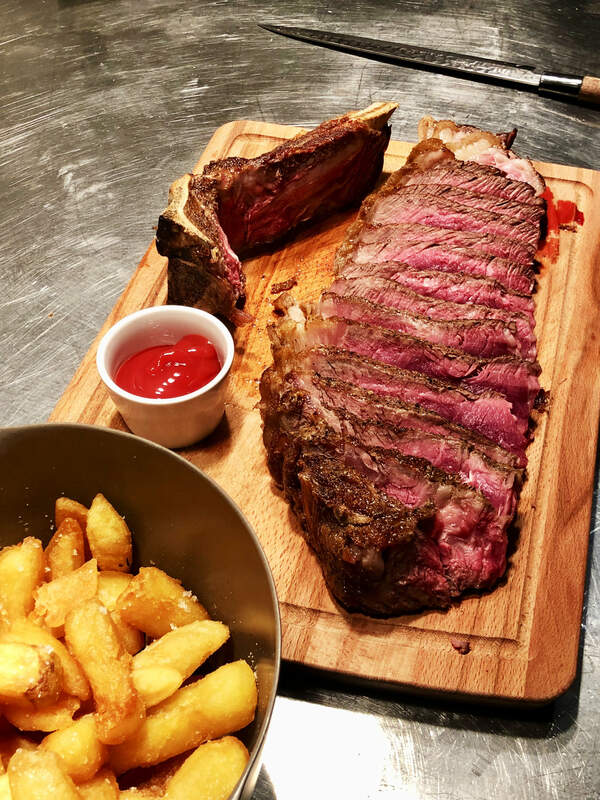 Since we opened nearly 3 years ago The Cart Shed has become well known for its amazing steaks. Whichever steak you choose it will be hand cut seasoned and cooked over our wood fired grill to your liking. They are served with triple cooked chips, truffle butter mushroom & roasted cherry tomatoes. Our steaks are from 100% grass reared cows & dry aged for at least 40 days. We do not add service charge to your bill. If you feel that our service staff have taken good care of you, as we hope they will please feel free to leave them a little something.